A great podcast for long car trips and bed times. Maya and her mom just moved in with her mom's new husband, and Maya is NOT happy about it. She just doesn't feel at home! But can the big maple tree in the backyard make things better? Tune in to find out! If you would like to support Stories Podcast, you can subscribe and give us a five star review on iTunes, head to patreon.com/stories and pledge to make a monthly donation, or just tell your friends about us! You can also check out this episode's sponsor, Mathnasium! Visit mathnasium.com/Stories or call 855-910-MATH for more information! Now you can find new episodes of Stories, completely ad-free, on Stitcher Premium! For a free month of Stitcher Premium, go to stitcherpremium.com/wondery and use promo code 'WONDERY'. For April Fool's Day, here's a rebroadcast of one of our silliest stories, The Golden Screw! If you would like to support Stories Podcast, you can subscribe and give us a five star review on iTunes, head to patreon.com/stories and pledge to make a monthly donation, or just tell your friends about us! You can also check out this episode's sponsor, Mercari, the selling app! Visit mercari.com to learn more! Today is part two of our special St. Patrick's Day story all about an epic Irish battle and the amazing power of music! If you would like to support Stories Podcast, you can subscribe and give us a five star review on iTunes, head to patreon.com/stories and pledge to make a monthly donation, or just tell your friends about us! You can also check out this episode's sponsor, Mathnasium! Visit mathnasium.com/STORIES to learn more about their programs, or call 885-910-MATH! Today is part one of a special St. Patrick's Day story all about an epic Irish battle and the amazing power of music! Stay tuned for part two, coming very soon! If you would like to support Stories Podcast, you can subscribe and give us a five star review on iTunes, head to patreon.com/stories and pledge to make a monthly donation, or just tell your friends about us! You can also check out this episode's sponsor, Mercari, the selling app! Visit mercari.com for more details, or look for it in the app store! This week's episode is based on a traditional Japanese folktale and it's all about two cats named Gon and Koma! Listen in so you can join them on their adventures and see what kind of trouble they get into! If you would like to support Stories Podcast, you can subscribe and give us a five star review on iTunes, head to patreon.com/stories and pledge to make a monthly donation, or just tell your friends about us! You can also check out this episode's sponsor, Mathnasium, the leading math-only learning center for grades K - 12! Visit mathnasium.com/STORIES for more information, or call 855-910-MATH! This week's episode is based on a Bulgarian myth about what happens when Father Frost is nowhere to be found and an entire village is buried in snow! Listen in to this longer story to hear all about the brave little girl that saves the day. If you would like to support Stories Podcast, you can subscribe and give us a five star review on iTunes, head to patreon.com/stories and pledge to make a monthly donation, or just tell your friends about us! You can also check out this episode's sponsor, Molekule, an innovative new air purifier! Visit molekule.com for more information! Honey Bear is bulking up for hibernation, but a bee gets in his way. Will he let it go and stay focused on his goal? Or will his anger get the best of him? Tune in to find out! If you would like to support Stories Podcast, you can subscribe and give us a five star review on iTunes, head to patreon.com/stories and pledge to make a monthly donation, or just tell your friends about us! You can also check out this episode's sponsor, Mercari, the selling app! Find it in the app store! Scales the snake wants to win the hugging contest, but nobody will let him enter! Are arms really THAT important for a good hug? Tune in to find out! 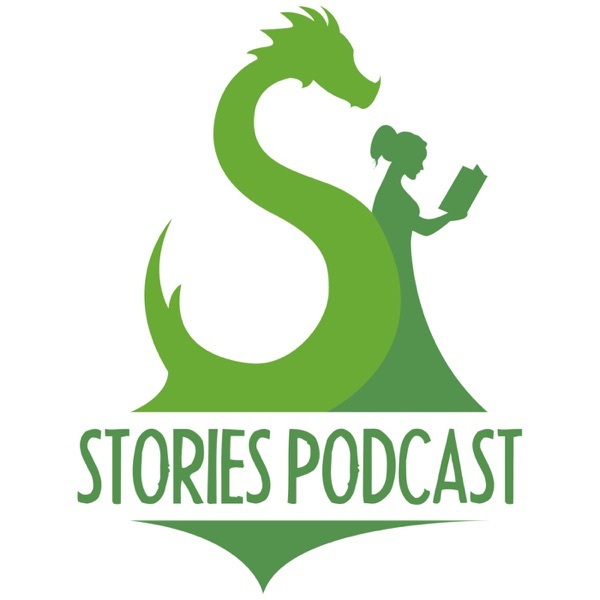 If you would like to support Stories Podcast, you can subscribe and give us a five-star review on iTunes, head to patreon.com/stories and pledge to make a monthly donation, or just tell your friends about us! You can also check out our sponsor, Monica + Andy at monicaandandy.com! Now you can find new episodes of Stories, completely ad-free, on Stitcher Premium! For a free month of Stitcher Premium, go to stitcherpremium.com/wondery and use promo code ‘WONDERY’. Ms. Beakman thinks that kindness for kindness sake is important, and Mr. Pecks is not so sure. Who will win this argument? You'll have to listen to find out! If you would like to support Stories Podcast, you could leave us a five star review on iTunes, make a monthly donation at patreon.com/stories, or tell a friend about us! Thank you to today's sponsor, Monica + Andy. Visit monicaandandy.com to check out their amazing selection of baby and toddler organic essentials! Also, thank you to Stitcher Premium! We're excited to announce that you can now find our episodes ad-free on Stitcher Premium, and we're even offering your first month free! Just go to stitcherpremium.com/wondery and use code WONDERY. In this story, based on a traditional Ethiopian fable, a very nervous young man named Abel seeks a magical solution to his struggles, but he needs to retrieve a very special ingredient first! Will he be able to do it? Listen in and find out! And parents, see if you recognize the fun oldie that inspired this episode's song! If you would like to support Stories Podcast, consider checking out one of today's sponsor, Monica + Andy, at monicaandandy.com! You could also leave us a five star review, make a monthly donation at patreon.com/stories, or just tell a friend about us! This week's story is an adaptation of the classic Greek myth about the famous, superstrong demigod, Hercules! Enjoy!! If you would like to support Stories Podcast, you can leave us a five-star review on iTunes, make a monthly donation at patreon.com/stories, or tell your friends to check us out! Thanks!! This is a story about an absent-minded little lamb who follows a butterfly into the woods and finds herself invited to dinner with a fox... as the main course! How is she going to get out of this predicament?? You'll have to listen to find out! If you would like to support our podcast, you can visit patreon.com/stories and make a pledge. There's a poll up right now about our pledge rewards and we really want your input!! Celebrate the start of 2019 with this adaptation of a traditional Irish story that truly has it all: singing, dancing, wolves, a fairy queen, and a pooka!! Happy New Year!! If you would like to support our podcast, you can visit patreon.com/stories and make a pledge. AND don't forget that you can vote for us for Best Kids and Family podcast in the iHeartRadio Podcast Awards! You can go to storiespodcast.com/vote and that will take you to the right page. The door is open and someone needs to close it. Will Adeena or Hassan cave first? Tune in to find out what happens in this story, adapted from a traditional Pakistani folk tale! Head to storiespodcast.com/shop to pick up some new Dog King merch and support families in need for the holiday season at the same time! All profits will be donated to a local organization that helps provide for families during this time of year. Listen in for more details at the top of the show! Two Greek gods get into an argument and make a bet. Does changing the way something looks change what it truly is? Tune in and find out! It's Thanksgiving! Dog King, King of the Dogs is throwing a festive, silly celebration in the alley, and everyone's coming! Pickles, Rex, Other Rex, Other OTHER Rex, and... a cat? Find out what happens when an uninvited feline guest crashes this bow wow bash! This story is about two VERY stubborn goats as they battle it out to see who gets to cross a VERY narrow bridge first. Who will it be?? You'll have to listen to find out!! If you'd like to support our podcast, you can visit patreon.com/stories and make a pledge. AND don't forget that you can vote for us for Best Kids and Family podcast in the iHeartRadio Podcast Awards! You can go to storiespodcast.com/vote and that will take you to the right page. Part two of the exciting finale of The Brilliant Firefly: Revolt! It's finally here!! If you'd like to support our podcast, you can visit patreon.com/stories and make a pledge. OR you can support this week's sponsor: Bombas! When you support our sponsors, you're helping us continue to create new content for you and your family to enjoy! Thank you! BOMBAS: Get 20% off your order by visiting Bombas.com/stories with code STORIES at checkout! AND don't forget that you can vote for us for Best Kids and Family podcast in the iHeartRadio Podcast Awards! You can go to storiespodcast.com/vote and that will take you to the right page. Part one of the exciting finale of The Brilliant Firefly: Revolt! Part two will be released VERY soon! If you'd like to support our podcast, you can visit patreon.com/stories and make a pledge. OR you can support one or both of this week's sponsors: HelloFresh and Omigo! When you support our sponsors, you're helping us continue to create new content for you and your family to enjoy! Thank you! HelloFresh: Go to hellofresh.com/storiespodcast60 and enter code storiespodcast60 for a total of $60 off! Omigo: Go to myomigo.com/STORIES to get $100 off your order! Today we bring you an original story all about what happens to Nellie when she tries to take a bit of old forest magic, a fairy, and keep it in a jar as a pet. Do you think that sounds like a good idea? You'll have to listen to see what happens! The conclusion of The Brilliant Firefly: Revolt will be posted next week! If you'd like to support our podcast, you can visit patreon.com/stories and make a pledge. OR you can support either of this week's sponsors: Daily Harvest and Bombas! When you support our sponsors, you're helping us continue to create new content for you and your family to enjoy! Thank you! Daily Harvest: Go to Daily-Harvest.com and enter promo code STORIES to get three cups FREE in your first box! Bombas: Go to Bombas.com/stories and enter the code STORIES to get 20% off your order of the best socks ever! It's the penultimate installment of The Brilliant Firefly: Revolt! In this episode, we finally learn more about Firefly's archenemy: The Scarlet King! Stay tuned! The final episode of The Brilliant Firefly: Revolt will be released in TWO weeks!! If you'd like to support our podcast, you can visit patreon.com/stories and make a pledge. OR you can support either of this week's sponsors: Omigo and Ziprecruiter! When you guys, our listeners, support our sponsors, you're helping us continue to create new content for you and your family to enjoy! Omigo: To get $100 off your order of the coolest toilet seat ever, visit myomigo.com/STORIES! ZipRecruiter: To try out the smartest way to find the right candidate for your job, visit ZipRecruiter.com/KIDS! The next two chapters of The Brilliant Firefly: Revolt! Jill is back in the Firefly suit and on a mission again. Join her as she goes on a journey to rescue her mom! Thank you to today's sponsor, Bombas! Their socks are the best. You can go to bombas.com/stories and enter STORIES at checkout for 20% off your order! The next installment of The Brilliant Firefly: Revolt! Here are chapters 5&6. Stay tuned for another episode next week! And if you haven't already, listen back to chapters 1-4 released over the last month. Thank you to our listeners and this week's sponsor, Daily Harvest! To try their delicious and healthy meals, go to Daily-Harvest.com and enter promo code STORIES to get three cups FREE in your first box! The next chapter of The Brilliant Firefly: Revolt! Make sure you've listened to our last few episodes so you're all caught up! The Brilliant Firefly is back! Chapters two and three are here, and there's more to come next week! Thank you to this episode's sponsors: Daily Harvest and Revolution Math! Tune in at the very beginning of this episode to hear exclusive special offers. It's here! The thrilling conclusion of the saga of Jillian Jayes and The Brilliant Firefly! More chapters will be released later this week. Don't forget to listen to books one and two to get caught up! Fun Fact: This familiar story about the Little Dutch Boy that saves the Netherlands from a great flood is NOT a real Dutch story, and is actually a piece of American folklore! Origins aside, it contains an important message about sacrificing for the greater good, and a really fun song too! Thank you to today's sponsor, KIND snacks! For 20% off your order of KIND Kids Bars, go to KindSnacks.com/stories and enter code STORIES at checkout! For complete offer details, visit https://www.kindsnacks.com/kidsoffer. You can visit us at www.storiespodcast.com or support us at www.patreon.com/stories. Don't forget to subscribe and leave us a five star review! Today we find Dog King, Pickles, Rambo, and all of our other favorite canines in another episode! Join them as they take naps, eat delicious ice cream, and solve a mystery! This week's episode is the classic story from the Judeo-Christian tradition about a very small boy who goes up against a very big giant to save his people! Special thanks to this episode's sponsor, Quip! Go to GetQuip.com and use code STORIES to get your first refill pack free with the purchase of an electric toothbrush! Based on the old Turkish Proverb, a story about the dangers of judging by appearance and trusting too easily. Get our entire catalog ad-free for just $1 at patreon.com/stories. This week, we celebrate the return of Mick Munter the Monster Hunter in a brand new story! Listen to hear Mick Munter go on an adventure to find yet another mysterious and magical creature, the Skunk Ape! You can hear more Mick Munter if you scroll back in our catalog. All of our past episodes are available for download at storiespodcast.com, and you can hear them all ad-free when you make a pledge on patreon.com/stories! Thanks to this week's sponsors, Care/Of and Quip! You can find out more about Care/Of at takecareof.com and use our promo code STORIESPODCAST for a special deal! For more information about Quip and to take advantage of an exclusive offer, visit getquip.com/STORIES. What happens when Jon and Maria visit a village that doesn't share? They make stone soup, that's what! A fun story about the importance of community. Become a subscriber at Patreon.com/stories! The Dragon King is sick and needs a special cure that only Tokki can provide! This week's story is from Korean folklore and includes lots of silly voices and a tricky rabbit. Ad-free episodes at Patreon.com/stories! The classic story of the lost axe and a fisherman's honesty. A great little fable from Aesop and ancient Greece. Ad-free show at patreon.com/stories. Thanks for listening! The conclusion of book 2! Some intense moments (think Spiderman and Uncle Ben) so be aware and enjoy! The classic story of the Gingerbread Man! Fun songs and a great holiday travel favorite. Ad-free at patreon.com/stories. It's a Dinosaur Christmas! T-Rex just wants to open her present, but with her big head and little arms, she's having a lot of trouble. Will she find some friends to help her? Will Christmas be saved? Fun story with a fun song at the end! Support the show at patreon.com/stories and have happy holidays! Book 2 of the Brilliant Firefly! Friends are saved! Secrets are revealed! More action is brewing on the horizon. This may be for a slightly older audience than other stories, typical of superhero comic books or movies. Get the episodes ad-free at patreon.com/stories for just $1. Book 2 of the Brilliant Firefly! We see the new normal after Jill's adventure in the armor, and the Scarlet King makes a move. If you haven't listened to Book 1, definitely do that first! This may be for a slightly older audience than other stories, typical of superhero comic books or movies. Get the episodes ad-free at patreon.com/stories for just $1. A silly poem in the style of Dr. Seuss offers a strange bargain and a fun little rhyme scheme. What if you could press a button and get a dollar, but somewhere in the world a tree falls? What if everyone had the same option? Listen and then talk it over! Ad-free episodes for just $1 a month at patreon.com/stories. A classic tale that originated in West Africa, featuring the trickster god Anansi the Spider. A turtle comes for dinner, tricks are played, and someone goes home hungry. Get every episode ad-free for just $1 a month at Patreon.com/stories! It's a Goblin Picnic! In this slightly spooky story for Halloween, a boy named Hawk is lured in by the promises of an enchanted goblin picnic, despite his better judgement. When the food turns out to hold a terrible curse, his sister Rose will have to step up and help her big brother out. Can the pair make it through the Goblin Picnic unscathed? Happy Halloween and thanks for listening! Ad-free episodes at patreon.com/stories for just $1 a month. This week we bring you the Haudenosaunee (Iroquois Native American) story on why the leaves change color in the autumn. This beautiful story has been passed down through the oral tradition and we've interviewed multiple Haudenosaunee storytellers to bring you the same version members of the Haudenosaunee heard as children. Support the show at Patreon.com/stories! Mick Munter is back, and this time he's on the hunt for the legendary Bigfoot! If you want more Mick, you're in luck, he now has his own show! Just search for Mick Munter Monster Hunter wherever you listen to your podcasts! Animals are gathered at the Moringa Grove for a truce, but how will they fare when the vultures turn the striped animals against the spotted and the spotted against the striped? Paul Revere's Ride, the classic poem by Henry Wadsworth Longfellow. Have a happy 4th of July! You've heard of the ride of Paul Revere? Well, he wasn't the only one! Here is the true story of Sybil Ludington, a young girl from New York and an American hero of the Revolutionary War. Happy 4th of July! Sometimes growing up is scary, especially when you have to leave your old home behind! Listen as Jasper the hermit crab and his friends try to find new shells to call home as they grow. Support the show at patreon.com/stories for ad-free episodes! The classic tale of the leaky pot, performed with some fun added songs. Sometimes what feels like a terrible flaw is actually a blessing in disguise! Support the show at Patreon.com/stories for our ad-free feed. An updated take on the classic story of Peter Rabbit by Beatrix Potter. This time around, his sister Penny is along for the ride, giving more gender representation and a fun new dynamic on this timeless tale. Support the show at patreon.com/stories! The classic story of Rapunzel, the girl with the long hair stuck way up at the top of a tower by an evil witch. Includes fun songs and an updated ending. Thanks for listening! Support the show at patreon.com/stories! The thrilling conclusion! This time, Grace is out to stop a galactic mega-corp from destroying a moon to build their sub-light pipeline. Join Grace Green, Princess of Space and Eco Ranger, as she tackles the Bakken group on the mysterious moon of Dakato. Amazing Grace is back. This time, she's out to stop a galactic mega-corp from destroying a moon to build their sub-light pipeline. Join Grace Green, Princess of Space and Eco Ranger, as she tackles the Bakken group on the mysterious moon of Dakato. Jillian Jayes has become something greater than herself, but has she bit off more than she can chew? Find out in the conclusion to Book 1 of The Brilliant Firefly, our serial superhero story! Support the show at patreon.com/stories. Thank you all for listening! Two kids are given a strange gift one New Year's Eve. We take the beautiful (but largely forgotten) fable by Emilie Poulsson and update it for a modern ear. It's the perfect story for kids (and adults) on New Year's Eve! It's a Dinosaur Christmas! T-Rex just wants to open her present, but with her big head and little arms, she's having a lot of trouble. Will she find some friends to help her? Will Christmas be saved? (Yes.) Support the show at patreon.com/stories and have happy holidays! Our telling of the classic Haida (from the Pacific Northwest) story, Raven Steals the Light. As far as fairy tales go, this is a strange one, but very interesting too! Support the show at patreon.com/stories or leave us a review on itunes. Part 3! Jill and Specs investigate the mystery surrounding Grampa Jack. The deeper they dig, the more troubling it becomes. We hope you are enjoying our take on the superhero genre! Part two of our superhero origin story. Jillian Jayes was a normal girl. Well, not really, but don't tell her that. She loved nothing more than judo, skipping school, and watching the superheroes fight crime all over Gigacity. But when her father is killed by super villains and her mother insists they move out to the country, she's forced to adjust to small town life. It's tough going, but she soon learns that the smallest towns can hold the biggest secrets. Part one of our superhero origin story. Jillian Jayes was a normal girl. Well, not really, but don't tell her that. She loved nothing more than judo, skipping school, and watching the superheroes fight crime all over Gigacity. But when her father is killed by super villains and her mother insists they move out to the country, she's forced to adjust to small town life. It's tough going, but she soon learns that the smallest towns can hold the biggest secrets. A Little Red Hen is busy, and no one wants to help her make bread. When the bread is done, they all change their tune, but the Little Red Hen is all business. It's our take on this classic story, with fun songs woven throughout. Support the show at Patreon.com/stories for ad free episodes! A little bonus poem about Halloween being over. It's fun! Leave us a review on iTunes to support the show! His mother was a dog. His father was a king. Know what that makes him? DOG KING! By the way, he's king of the dogs. This episode is ridiculous but the Dog King theme song may be our best work ever. Support the show by checking out our weekly sponsors and hitting patreon.com/stories for ad-free versions! In light of the impending election and the information coming to light about the candidates, we are re-releasing our updated take on the Emperor's New Clothes. Thanks for Listening! When a young boy moves from Dublin to a sleepy little village on the Irish coast, he finds new friends, new myths, and some strange magic. Get the book on amazon and support the show at patreon.com/stories ! There's a drought in the savanna, and tensions are running high between the striped and spotted animals. Support the show at patreon.com/stories and leave us a review on iTunes! An updated take on the Emperor's New Clothes! Support the show and have your child's name read at the beginning of an episode at Patreon.com/stories! The classic tale of Little Red, a wolf, a grandmother and a woodcutter. The moral? Don't talk to strangers! A schoolyard artist, a schoolyard bully, a magic piece of chalk, and a very real T-Rex. This week's contemporary fairy tale is full of fun, danger, and magic. Safe for kids of all ages, but the T-Rex roar can be a little scary :). Support the show at http://patreon.com/stories and check out Wondery.com for other great shows. In the tradition of Shel Silverstein, here's a fun poem about deciding what you want to be when you grow up! A young man is shipwrecked in the middle of the Pacific ocean. He finds himself saved by an unlikely creature, one with long coral hair and a shiny...fin. Subscribe and leave us a review on itunes! Making shoes can be tough work, but we all get by with a little help from our handy, tiny, magical friends! Support the show at http://patreon.com/stories. It's another new twist on an old fairy tale classic. We can't tell you which, it will ruin the surprise! Support the show at patreon.com/stories. This week, we want to tell you the story about the origin of Hanukkah. This is a story from the Jewish Faith, and it's well loved all around the world. We hope you like it! This week, we want to tell you the story about the origin of Christmas. This is a story from the Christian Faith, but it’s cultural impact on the world at large cannot be overstated. So, whether you’re religious or not, there are things to learn and enjoy in this classic story about the birth of a very important little baby. We hope you like it! A new story that deals with how we see ourselves, what we are, and what we wish we could be. Give a listen and support our show at storiespodcast.com or patreon.com/stories! Hungry kids, hungry witches, houses made of candy and charming songs. Listen to our version of the family classic Hansel and Gretel, and support our show at storiespodcast.com or patreon.com/stories! A mighty lion and a humble mouse. They're very different, but that doesn't mean one is better than the other. Listen to our take on this classic tale for fun songs and a big heart. One little girl, a handful of pumpkin seeds, and some halloween magic. Listen to the episode now and support us by going to patreon.com/stories! One has been working all year saving up food for the winter. The other is a grasshopper. Learn the value of hard work and foresight in our version of this classic fable, and support the show by going to patreon.com/stories or GoPlayPretend.com. Listen to this episode featuring the classic Three Little Pigs or we'll huff and we'll puff and we'll blow your house down :). And check out GoPlayPretend.com for all your kids' clothes and toys! Some porridge is too hot, some porridge isn't hot enough! It's the classic tale of happy mediums this week when we bring you Goldilocks and the Three Bears. The classic tale of the Velveteen Rabbit. Before Woody and Buzz of Toy Story, there was a wise old Skin Horse and a Rabbit that just wanted to be loved...and to become real. Animals, Scarlet Fever, Fairies, this story has it all. Max Goodname is back in action! This time, the king wants to send the young knight (and his wizard pal Wallace Q. Wallace) up against the dreaded Basilisk. Along the way, they'll meet up with their cleric friend, Corly Anders, and maybe make a few new friends too. The Dread Dragon Drogogard is terrorizing princes and destroying castles, and only the Tooth Fairy Dentina can save the day. A followup to the wildly popular "Secret Origins of the Tooth Fairy." Hexacorns are being poached, and the town of Majico2 has called in Amazing Grace Green to help bring the poachers to justice and save the wild Hexacorns. They've tried to scare her out of town but Grace doesn't scare easy. Make sure you listen to Amazing Grace - Every Creature pt. 1 before this episode! Deep in the Lillywood, past the Frog Pond and the Unicorn Valley, there is a magical tree named LeCree. Inside of her branches, lives a magical race of Fairies dedicated to protecting the forest. This is a simple and soothing bedtime story, perfect for younger children. Sophia is a snowflake who falls from the sky on a blustery February day. When she lands on the lawn of a neighborhood boy, she calls on her big family to do him a big favor. In the black depths of space, where star ships travel faster than the law, there is a new and wild frontier. Colonists settle strange planets, pirates smuggle exotic goods, and bold heroes eke out livings with the sweat of their brows and the triggers of their blasters. In this brave new world, there is one girl dedicated to protecting the defenseless creatures of the universe. She is Amazing Grace, PRINCESS….OF….SPACE! Today we bring you another interesting animal origin story from Rudyard Kipling, the author of the Jungle Book. How did the Camel get his hump? We have the answers in the form of this unique, vocabulary-enhancing just-so story. Have you ever wondered where the Tooth Fairy got her start? Why does she pay for old teeth and where does she get all that money anyway? We have the answers in this charming fairy tale. Today we bring you an interesting animal origin story from Rudyard Kipling, the author of the Jungle Book. How did whales get so big? Where did their big whale throats come from? We have the answers in the form of this unique, vocabulary-enhancing just-so story. Joshua is a young ball with big dreams. Will he grow up to be dunked through a hoop or kicked through the uprights like he dreams, or will he have a different, more special fate. The ancient Greeks believed that winter was brought on by a kidnapping and a sorrowful tale of unrequited love between gods and mortals. It may not be true, but that doesn't stop it from being an awesome story! This week we bring your the classic Christmas poem by Clement Clarke Moore. It's the perfect thing to play while your little mice are stirring from all the Christmas excitement. Enjoy! This version contains parts I and II of our story "The Magic Armor–a Max Goodname Tale." In it, a young squire named Max dreams of knighthood, and he won't let a little thing like having no armor bring him down. In his way stand some of the best warriors in the realm, but with a crafty wizard and a beautiful cleric in his corner, he just may have a chance. The grand finale of The Magic Armor. With the help of Wallace Q. Wallace, Max finally gets his chance to joust. Will he prove his skill and win his knighthood? There's only one way to find out! A young squire named Max Goodname dreams of knighthood, and he won't let a little thing like having no armor bring him down. In his way stand some of the best warriors in the realm, but with a crafty wizard and a beautiful cleric in his corner, he just may have a chance. Peter Rabbit and his sister Penny venture into Mr. McGregor's Garden. Will the two naughty little rabbits make it out, or will they end up in a rabbit pie? Our take on the classic tale of the fairest maiden herself, Snow White, inspired by the Brothers Grimm. Beautiful princesses, evil witches, an unlikely hero...and seven more smaller unlikely heroes. What more could you want?